Ombudsman services under the microscope. When academics discuss the value of Ombudsman services they tend to gather their data from the Ombudsman themselves. Consequently, they conclude that apart from a few tweaks here and there the service is delivering the type of justice which would otherwise be unobtainable to members of the general public. Ombudsman are thereby heralded as ‘good for society’. The reality can be very different. To rebalance the scales I suggested that the academics adopt qualitative research methods and follow a series of complainants through the labyrinth of the complaint handling process using interviews and questionnaires to evaluate expectations as the experience unfolds. I have reposted the article in full below and a link to the UK Administrative Justice Institute website. ukaji.org/2015/10/26/a-complainants-eye-view-of-restorative-justice/ If you would like to respond then please leave a comment on the UKAJI site for the academics to see. Perhaps you would like to be their first volunteer? In this blog post, Della Reynolds, Co-ordinator of the PHSO Pressure Group, explains why a focus on restorative justice would help empower complainants who use ombuds schemes. Legal definition: The need to repair the harm done through a process of negotiation, mediation, victim empowerment and reparation. Colloquial definition: Don’t get mad, get even. Here in the UK we live in a democracy. We relinquish individual control to those in authority, who in turn protect the citizens from the abuse of power. At the apex of this process sits the Ombudsman: free to use, independent of government and able to give impartial and independent adjudication in matters of dispute. Much like an insurance policy, it provides a feeling of safety, and much like an insurance policy it doesn’t always pay out. The first problem with using the ombudsman is that they control the rules and the rules change according to their control. 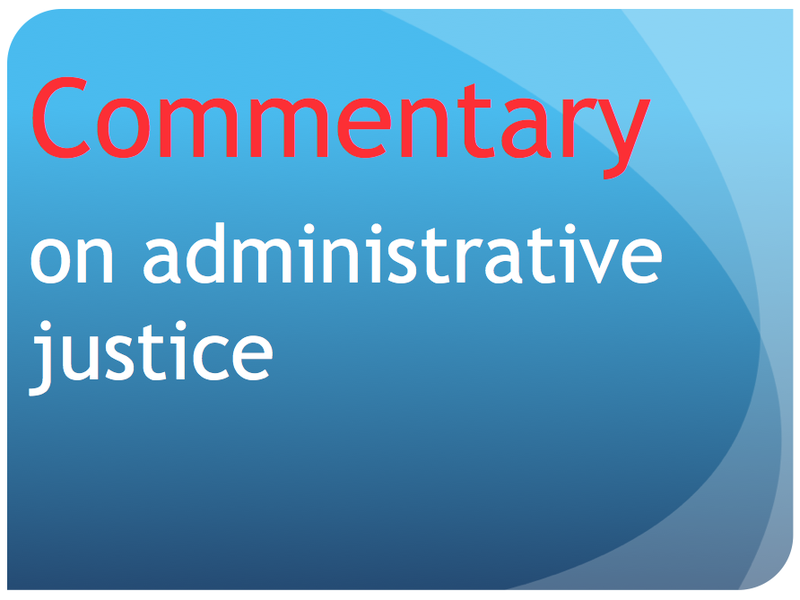 Although the ombudsmen state that they will adjudicate on cases of maladministration, there is no definition of ‘maladministration’ or ‘investigation’ or ‘remedy’. It is whatever the ombudsman determines it to be on the day. More than simply moving the goalposts, effectively this is a game played without any goalposts. You may consider that a breach in policy would be maladministration, only to find that policies are simply guidelines. No case to answer. You may provide evidence which demonstrates that the law has been breached, only to be told that it is not the ombudsman’s place to determine the law. No case to answer. Like a badly aggrieved child you approach your parent ombudsman with tales of woe and the evidence to prove it, only to be told that it is just your ‘perception’ of injustice. No case to answer. Before we had an ombudsman to settle disputes, communities had their own style of restorative justice, for the concept is as old as time itself. It might be payment for a wrong, tar and feathering, or a turn in the stocks on the village green. These remedies may have been short on negotiation and mediation, but they certainly paid out on victim empowerment and reparation. As more citizens realise the futility of trying to meet the high threshold of official maladministration, they are turning to their ‘digital democratic tools’. Almost anyone can set up a website berating the public body concerned. Personal naming and shaming on Twitter is the equivalent of the stocks of yesteryear – the rotten tomatoes replaced by 140-digit character assignations. The absence of authoritative justice has left a vacuum which is being filled by ‘TripAdvisor’-style sites such as Patient Opinion for the NHS or forums such as Ethical Consumer. These may not deliver anything in terms of reparation but do a great deal to provide victim empowerment, which is not to be underrated. Research is needed on the views and experiences of complainants. One approach would be to monitor real case studies. Complainants could be asked at the outset what their expectations would be, and their progress monitored. The obstacles listed above could form a series of questionnaires to gather qualitative data, which could be used as a counterbalance to the enormous volumes of quantitative data released by ombudsmen on an annual basis. The research would have to run for over a year and possibly much longer as most cases take at least 12 months to go through an investigation to final report stage. 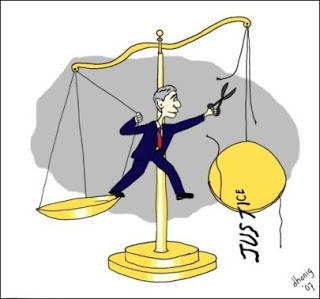 For the vast majority of citizens, the present Ombudsman system fails to restore justice or provide remedy. This leads to a feeling of helplessness and righteous anger. Let down and abandoned by those in authority, more people are finding alternative means to address their need for empowerment. If this situation is not addressed when the new Public Service Ombudsman is formed, there may be a whole new meaning to the phrase ‘alternative dispute resolution’. Excellent Precis of what we are enduring Della…thank you! Chances are your final report will be exactly the same. Ombudsman will say that it has already taken all evidence into account. SPOT ON Della and 20 months is not YEARS . Believe me delay can take it there! After 5 years they call the complaint “historic” (as advised by Kay Sheldon at CQC) and wont look at it further!May be a good idea to gauge PHSO “Hintoric” timeline! …or that your reply does not change their decision! “He who pays the piper calls the tune”…..except we pay dont we? Because so long as they have a system for opening complaints and conducting (sham) investigations, they can be said to have upheld their duties! Tick-box, paper exercises at vast public expense, with no intention to ever remedy injustices. Imagine how many members of the public have not even bothered to go to the PHSO because they already lost entire faith in the NHS/other body complaints system that failed them. Perhaps they know someone else who went to the PHSO and didn’t get justice, or they did a bit of research to find out it was futile. There are of course many, many dissatisfied PHSO complainants out there, how could it be otherwise when they have such a low investigation rate and such an infinitesimally small uphold rate. Are all those people surveyed? Not on your Nellie. Many probably no longer have the wherewithal to even respond to a survey anyway, having been beaten down by the process already. To have injury, loss, grief or stress compounded by responding when you know it won’t make any difference is a powerful deterrent. As is knowing the system is stacked against you from the get-go. So it rests on those few of us who can muster up our remaining strength in spite of it all, driven on by an immense sense of injustice, righteous anger and determination to get the facts attended to. Those who form phsothefacts, those who contact Patients Association, Which?, PASC etc. to drive the change that is needed. There is no use setting up yet another (independent or otherwise) body if the remit is wrong from the outset. Now we have more far-reaching tools than the village stocks means we are gathering in number. All of the above is entirely correct. To date complainants do not have empowerment. Those in power know the problems well and regularly change the laws to keep up the shabby game. So as we educate the academics with real life rather than stats adds another string to our bow campaiging for real justice. Ms Reynolds is certainly right on the nail with the bullet points she gives above. As a complainant myself, wanting fair, compassionate and reasonable consideration of an NHS related case which had terminal consequences for my son, their response totally wiped me out, and destroyed my faith in public safety-net systems. Some fairly straightforward questions of the Ombudsman (as FOIs) revealed that their caseworkers needed no particular or relevant training—except in how to apply internal procedures, but not in how to apply their Principles. Neither did they have instruction in regard to disability as defined by UK Discrimination and Equality Acts; nor how to apply that Equality or due consideration of such when dealing with victims of ‘misfortunes’, potentially, of professional negligence. Repeated appeals to garner a fair hearing have placed hope on hope of the chance of a candid investigation still six years overdue, and twelve years since the original mistakes in care. The trail is cold and I now care little for any new outcome, because I see the same mistakes being made over again. And the attitude of caseworkers demonstrates no desire to learn from repetitive mistakes plaguing services and costing lives. Even this far down the line the Ombudsman still has no distinct complaint procedure, and the aggrieved are funnelled through the same intransigent and insensitive caseworker system. It did not work towards progress 50 years ago and it does not work in 2015. Listening and learning in Services could have saved my son but now I see how the complaints procedure and health ombudsman role in its various guises and leaderships works against this; continues to shed culpability, and promotes to the world that everything’s fine. It’s soul destroying for those who have to live with the resultant wounds. It’s tragic Complete Despair. And I can see why you chose your username – for that is how the system leaves you feeling. Denial is the massively overriding culture in state organisations. The lies about improving the complaints system and transparency are just that, lies. For someone like you who has suffered the loss of life of a loved one, there are not words to explain how tragically wrong that is. “Justice denied anywhere diminishes justice everywhere”- Martin Luther King Jr! AGREE! If lessons were learnt then why do we keep hearing of avoidable deaths! To “learn lessons” the lessons need to be fully identified by a full and impartial investigation (I guess as independent as public sector can be!) Soul and family destroying! In the 10 years since my sons death I have learnt many lessons and can evidence all! I am deeply saddened to read of your son too….I wish us peace! My heart goes out to you as you battle for Justice Compl3ete Despair. PHSO uses Delay,Deny and Defend as the default setting. We are left to deal with (with another D) = Death! Listening and learning would have saved many lives but if rewarded for failure what chance do we have! Do you know case workers are paid bonuses to close cases £700 I read on FOI site! I agree soul destroying but I fight on! Loads of D’s EJ and AGREE diminished quality of life is right up there!£700 on http://www.whatdotheyknow.com and many health workers are being paid “Golden Hellos” to help boost staff numbers…..is this fraud too? This just can not be right. Thanks for support dms91, EJ, and others fighting this nonsense. Does ‘successful completion’ of complaint equal closing it down…that’s what we need to ascertain. Perhaps someone should ask this on WDTK. Shocked at it all to be honest! Dreadful!